This space heater looks more like a flat screen TV than it does a heater but don’t let that fool you. It’s a very innovative type of heater that works great and will give you some nice extra heat in any room in your home it’s placed in. This is a dual setting heater which will give you many heating options around your home. Delonghi did a very nice job with this design. This mica panel heater can easily radiate heat throughout any room that is 300 square feet or less. 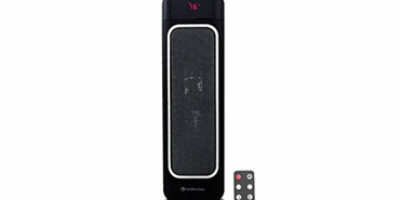 It has two energy settings to choose from also; 750 watts and 1500 watts. At 1500 watts it will produce over 5100 BTU’s of heat. You not only get to control the amount of energy you choose to run the space heater at but you also get to choose the exact temperature setting that you like. 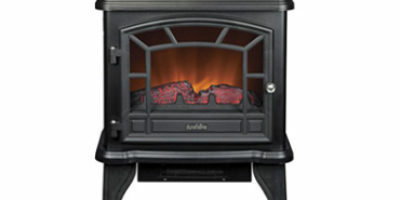 It has a nice full range thermostat that will allow the unit to come on and run until the set temperature is reached. Most people will not think this space heater is an eyesore but it’s not exactly one of the better-looking space heaters we have taken a look at either. There are not many decorative features on it and it only comes in a black matte finish. The Delonghi Mica Panel Heater seems to be designed much more with heating in mind that it was for looks. Delonghi has built several nice safety features into this space heater unit. Among them is tip over protection. If the unit should accidentally tip over while operating it will automatically shut itself off. There is also an overheat sensor that will shut the unit down too if it gets too hot. 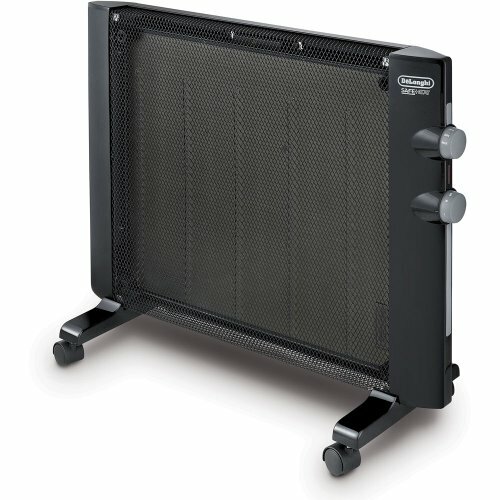 Many space heater models use fan forced air to move the heat out of them and this can cause a bit of background noise that some people will not like. That’s not the case with the Delonghi Mica Panel Heater. With its unique mica panel design, it naturally radiates heat without needing an extra fan inside. The fanless operation will also save you money or time. 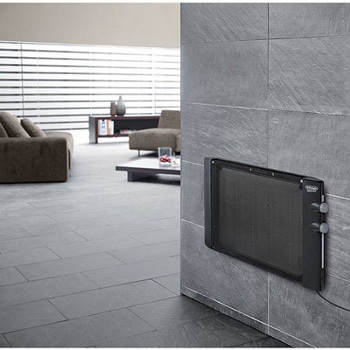 You get many options as far as placement goes with the Delonghi Mica Panel Heater too. First of all, it only weighs a little over 10 pounds which makes it extremely portable. Adding to that portability is its caster wheels and its attached carrying handle. The caster wheels can be removed so you can mount this space heater on a wall too. There were a few things with this space heater we were not thrilled with. We mentioned that the unit can be wall mounted but use caution here. The back of it can get very hot and you have to consider where you put it very carefully before you mount it on any wall. We also suggest you use its carrying handle to move it too. It’s light enough that even children can carry it. We are concerned that its caster wheels will mark up some bare floor surfaces if you roll it on them. This is a really interesting and innovative design that does a great job of adding heat to small and medium-sized rooms. It’s super portable and lightweight due to the fact it has no internal electric motor to run a fan. The looks of it are not fancy but it makes up for it with a good heating performance that is ultra-quiet. This space heater is a good buy for all that it does for the price you will pay for it.